The Utrecht sneltram (literally fast tram) is a light rail scheme in the city of Utrecht. 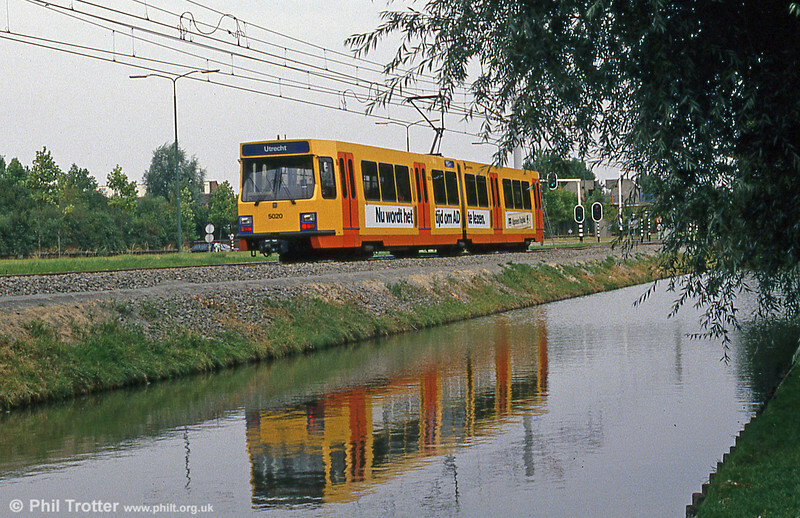 The sneltram light rail system was constructed during the late 1970s and early 1980s, and the first sections - between Utrecht city centre and the suburb of Nieuwegein - opened to passengers on 17th December 1983. Car 5020 at Wijkersloot on 8th August 1990.